5 years & up. A collection of games from single player to multiple players with different skill levels. 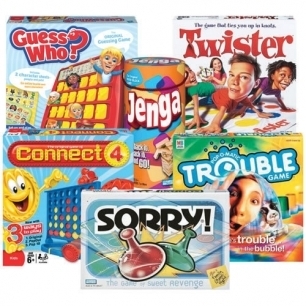 Includes Guess Who, Connect Four, Twister, Trouble, Sorry, and Jenga.